Drug screening is widely practiced these days. Once an issue professional athletes had to contend with, it is also now common in schools and the workplace. Pre-employment drug testing is on the rise. A majority of employers state safety and liability issues are their top concern when building a drug free environment. Impairment while on the job can cause costly, if not deadly mistakes. To avoid this many employers now seek to prevent rather than lament, hence the pre-employment drug testing. During the application process your prospective employer needs to notify you that a drug test is required when submitting an application. Under Federal Law, the Americans with Disabilities Act prohibits that an employer request a test until they have made an employment offer. State laws however, vary from state to state, therefore the more informed you are aboutpre-employment drug testing the more you will be familiarized with what rights you have in this process. Ideally all applicants that have been considered for a job at any company should be required to submit a drug test. For example, people working in the office versus people working in the warehouse: if it is only the people that labor in warehouse getting tested that could imply discrimination and grounds for a lawsuit. If you are very interested in obtaining the job, and have decided to continue at your own risk here are a few things you should know. During pre-employment drug testing you will be sent to a lab facility the employer indicates in a written form, which will likely include the time and date, along with the type of test to be taken. 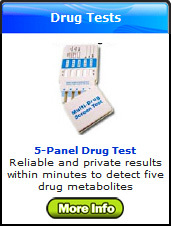 It is usually what they call a “standard five panel test.” This urine test screens for the most common drugssuch asmarijuana, PCP, cocaine, amphetamines, and opiates. These drugs are unlikely to be detected after three to four days by a urine test. 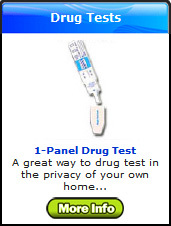 However, if you do not want to have to wonder “what if” passdrugtest.net offers a five panel test kit which you can take in the privacy of your own home. This will nullify the guesswork (and worry) when you have to show up for the actual test at the lab. In the event that you do not have enough advance notice, or it slips your mind until the last minute and you are still until the last minute and you are sure your tests will return positive results there are a few things you can try on such short notice, again at your own risk. There are various options available on the market to get rid of drugs in the system. Common sense will tell you to discontinue drug use in the days leading up to your pre-employment drug testing.And while water is a good way to rid the body of toxins, you do not want to make yourself ill by drinking excessive amounts. 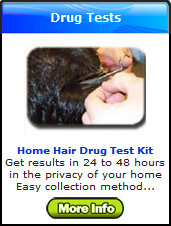 Ppassdrugtest.net offers several alternatives for assisting you in passing s urine test. On their website you can find a 7 day Body Cleanser, Power Flush Detox Tea, or for immediacy a 1-hour Detox Drink and 1-Hour Fast Flush Capsules. While some people consider pre-employment drug testinginvasive and unfair, your future employer does have a right to ensure a safe environment for you and the other employees. Most likely the random drug testing will continue after the application process if you do work with such a company.